A specialist family law practice with over 20 years of expertise behind us. 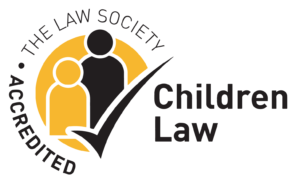 We offer plain-speaking, honest and transparent advice on all aspects of family law including child protection, child abduction, relationship breakdown and arrangements for children. We empower our clients to take control of their situation, supporting them through the process with timely and pragmatic advice. From the outset, you’ll find us friendly, helpful, approachable and easy to work with. Our aim is to give you advice which will enable you to make the best possible decisions about your future. For more information or an initial discussion please contact us. Our expert lawyers can advise you whether you are starting or joining a family or sorting out arrangements post separation. If a child is removed from your care and taken abroad without your permission or is kept abroad this can be unlawful and requires urgent action. Our child abduction team has extensive experience and often work on highly urgent and sensitive cases. If you’ve been a victim of abuse in your home or relationship, we can help you to seek orders or injunctions from the court to ensure your personal protection. Covent Garden Family Law specialise in advising and representing parents who need our help when social services have become involved with their families. At Covent Garden Family Law we can help with expert guidance and advice in relation to all legal aspects arising from them. Our constructive, practical approach, good sense and realistic advice can help you find a lasting solution. Mediation is an increasingly popular and effective approach to resolving disputes between you and your former partner using face-to-face discussion, rather than the courts. We offer expertise in mediation services for couples in a whole range of circumstances. For more information or to talk to one of our specialist family solicitors. Please fill out the form or call us confidentially on 020 7257 6130. Our offices are conveniently located in Covent Garden. Close to Holborn, Covent Garden and Leicester Square Tube Stations and Charing Cross overground. © Covent Garden Family Law Ltd is authorised and regulated by the Solicitors Regulation Authority. SRA 644091. Covent Garden Family Law Ltd is registered with Companies House, ref. 11013024, and registered for VAT.